Smoothies are an especially fun way to include the needed nutrients in your daily diet. These days, people are more health conscious and smoothie kiosks aren’t hard to find. They offer many different healthy blends and flavors, but can be rather expensive. It’s easy to make your own at home and it costs almost nothing to stir up your own healthy concoction. While you’re at it, here are some of the best ingredients you could add to improve your immune system. Probiotics are good bacteria. They are microorganisms that benefit your digestive system and boost your immunity. We are continually exposed to harmful viruses and bacteria and probiotics help prepare your body in fighting them off. The thought of microorganisms may sound icky, but the reality is your favorite yogurt is full of it. Add yogurt to your smoothie and voila – your immunity is given a well deserved boost. Ahh…Who has not heard of the enormous benefits of green tea? This ingredient just screams out ANTIOXIDANTS! Green tea is one of the richest sources of immune boosting nutrients and all you have to do is add a couple of cups to your smoothie. Make sure it’s cooled down to at least room temperature first. There’s nothing like a fruit smoothie and any fruit you add will guarantee your drink to be rich in nutrients. Citrus fruits, in particular, have a high content of Vitamin C, especially great for preventing and curing a cold or sore throat. The recommended daily intake is 500mg. 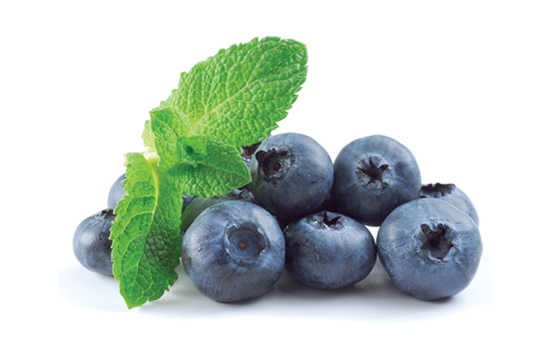 Another powerful fruit high in antioxidants are blueberries. They fight against diseases inducing free radicals in our body. As a bonus, they also help burn fat and reduce the likelihood of fat storage in the body. As if that’s not enough, blueberries also lower the risk of hypertension, reduce the risk of colon cancer and improve memory function. Goji berries are known as the ‘longevity fruit’ and have unique immune-boosting properties. They are different from other berries as they contain polysaccharides, which are compounds that enhance the body’s ability to resist diseases. They’re also rich in vitamin C, A, and zinc – all known to protect against disease and aid in recovery. Strawberries are excellent for fighting free radicals and contain nutrients, namely Vitamin C, important in boosting your immune system. They’re rich in flavor too, and a fantastic addition to any type of smoothie. They also help prevent heart disease, diabetes, macular degeneration, and, believe it or not, cancer too. Cantaloupe contains high amounts of Vitamin C and helps naturally build a strong immune system. It’s also a fruit loaded with Vitamin A, hence antioxidants; phytonutrients, tannins, anti-cancer, as well as anti-aging properties. Another immune system-friendly food is the carrot. Carrots are high in beta-carotene, which is a powerful phytonutrient responsible for fighting off infections by building natural killer cells and T cells. The trick is to have them fresh and raw. Yes, more berries. We all love them and you can trust berries to be a rich source of nutrients. Blackberries in particular, have a high zinc content which significantly improves your body’s immune system. Dark berries like the blackberries help block flu viruses and have the ability to fight inflammation. Drink up to a healthy new you! Staying healthy has never been so delicious. Just make your own blend of tasty immune-boosting smoothie using any combination of the above foods and you’re all set to soldier on all year long.